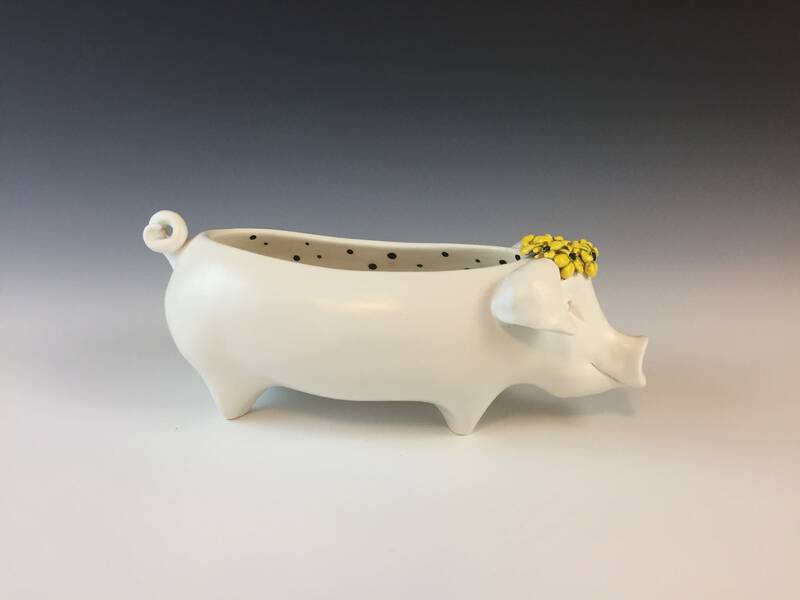 Dottie the ceramic pig planter. Meet Dottie! 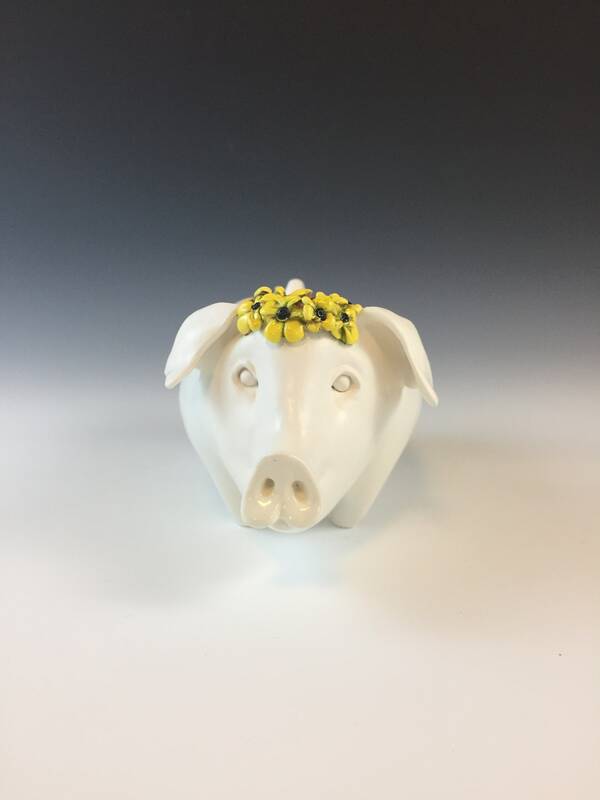 She is a sweet, happy and lively pig that is sure to bring joy and interest to any sunny spot in your home. 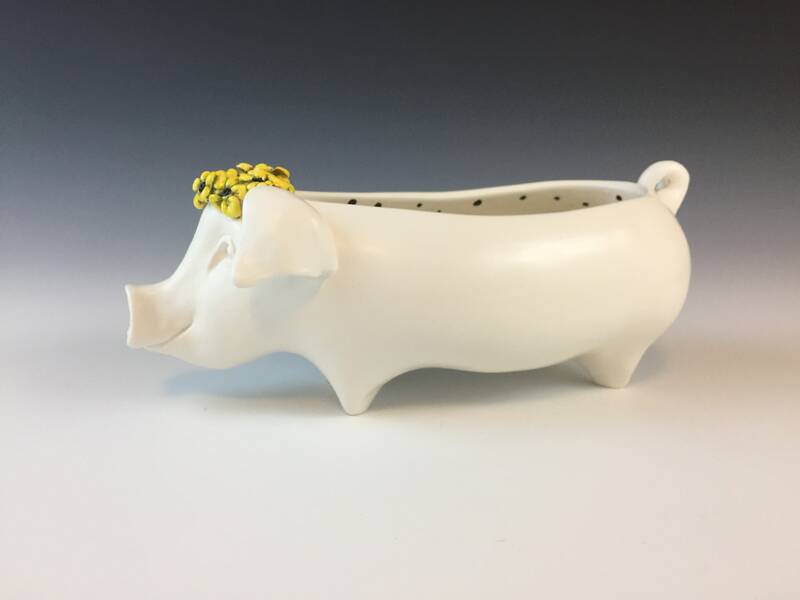 Dottie has been constructed of a white earthenware clay and is finished with a fine white slip called "terra sigillata". 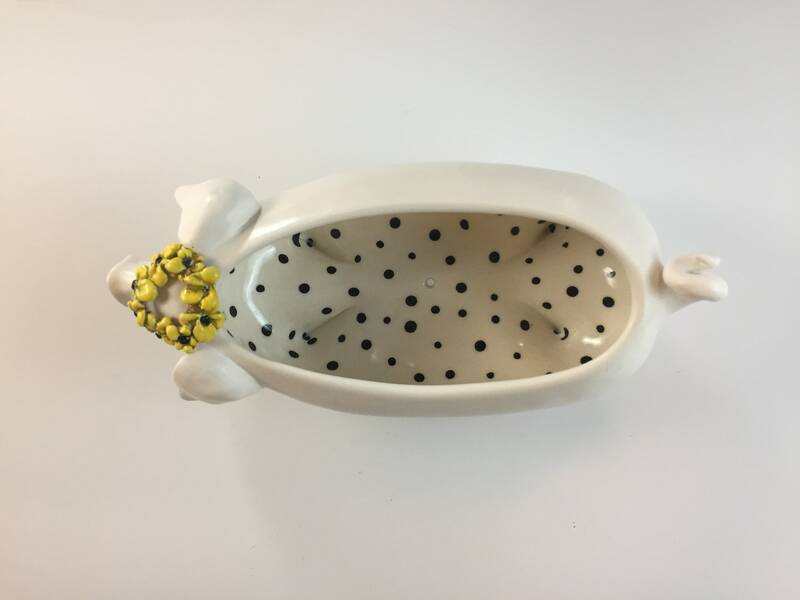 The inside is glazed in a glossy clear over black underglaze polka dots. Dottie sports a lovely flower crown of black eyed susans. She has been designed as a succulent or moss planter and is equipped with a drainage hole in the base. Dottie could also make a lovely candy or trinket dish.